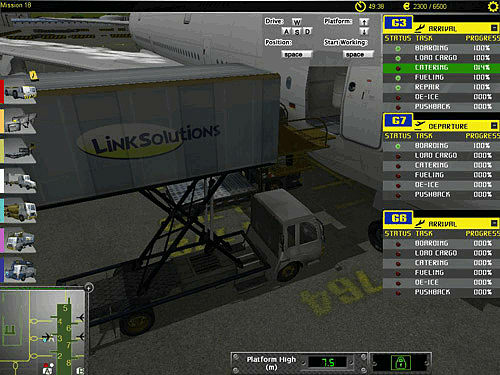 Join a team of airport ground control workers to experience the important daily routine of servicing aircraft in Airport: Ground Crew Simulation, for PC. 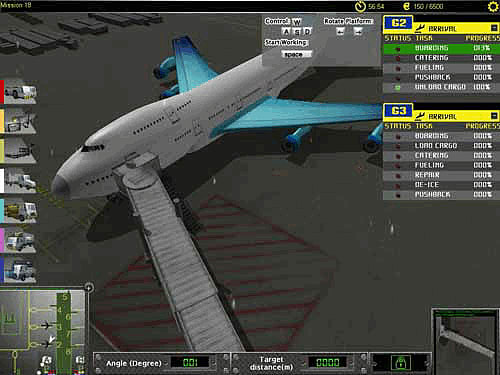 Airport Ground Crew Simulation is an exciting profession and technology simulation where you join a team of airport ground control workers to experience the important daily routine of servicing aircraft when they are parked at the terminal stand in readiness for take off or immediately after landing. 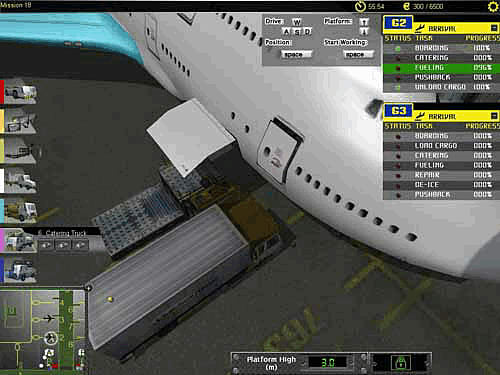 Your duties will include de-icing aeroplane wings, restocking catering supplies and refueling each aircraft as well as ensuring all passengers and cargoes are both loaded and unloaded correctly. With a busy daily schedule, only you can get the aircraft prepped and ready for flight. You will need to service three different types of aircraft and operate a total of seven controllable vehicles and machines in order to perform all the tasks required. 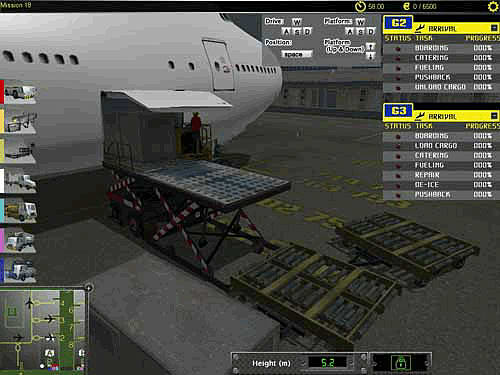 These are: the jet bridge, a pushback tractor, a catering truck, a transporter, a de-icer, a cargo loader and a pallet truck.